Bay Mitchell, Esq. Uses Her Tenure As An Attorney To Deliver Huge Victories For Law Firm Clients Through Esquire Deposition Solutions. In order to be professionally fulfilled, Mitchell recognized she would need to find a career that would allow her natural inclinations towards relationship building to flourish. It was this determination that proved to be the deciding factor in making a career change. However, leaving the legal community wasn’t an option. Instead she found the perfect blend for her two passions as a Regional Litigation Consultant with Esquire Deposition Solutions. Mitchell knew that her expertise would serve as a terrific benefit in the new endeavor. “Having practiced as a civil litigation attorney in San Diego for so many years, moving into litigation sales was a natural and seamless transition for me. I have numerous contacts and in-depth industry knowledge and experience, which allows me exceptional access to my clients, and an enhanced ability to understand and service their needs,” she explains. It is precisely the ‘might’ of the company that attracted Mitchell. “I have a personal appreciation for the time-sensitive nature of litigation, and the immense importance of attention to detail. When a client calls me, I drop everything, because I know that their hands are tied. I understand the urgency, and know just how impactful a delay can be,” she says. 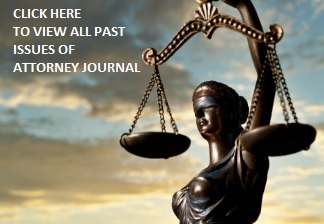 “Esquire has been providing law firms with superior court reporting services for over 25 years. I have a strong team behind me, who are all very seasoned in this industry. There is nothing they can’t make happen,” she adds. By way of example, Esquire just launched its portable video conferencing service, which many competitors don’t have but “every attorney needs,” says Mitchell. “The portable video conferencing enables attorneys to view and interact with witnesses in other locations at a fraction of the cost and without the hassle of traditional videoconferencing solutions,” Mitchell says. “This was designed specifically to meet the needs of litigation professionals involved in depositions, arbitrations or meetings. Our clients can participate in fully interactive, multi-party videoconferences simply by using a webcam and an Internet-connected PC, Mac, iPhone, Pad or traditional VTC system,” she adds. Moreover, the portable video conferencing system seamlessly joins multiple locations, and is highly secure, featuring AES-128 bit government-grade encryption. “The high quality audio and video enables participants to fully interact without time delay or video lag,” she continues. “Esquire’s focus is on making the very best technology affordable and accessible and then supporting that technology with excellent customer service,” Mitchell says. To that end, Esquire’s offices in San Diego certainly do support that technology. At a staggering 16K square feet, Esquire’s offices on the 16th floor of the Emerald Plaza Building are impressive, to say the least. In fact, Esquire’s San Diego office houses production, from deposition to transcription, while maintaining 9 spacious conference rooms, and a large depository for its complex litigation clients, along with a huge outdoor balcony where clients can enjoy a hot catered lunch. As far as Mitchell is concerned, the transition to litigation sales from practicing litigation was an effortless shift, and one she encourages other legal professionals including attorneys, paralegal and secretaries who are contemplating a career change to consider. “Many people are surprised to learn there is a lucrative and enjoyable alternative to the practice of law, where they can still leverage their skills and network and be successful. I joined the Esquire team as a seasoned litigation attorney, having practiced locally for many years at two well-known firms. I also attended law school here in town. Many of the schoolmates and colleagues that I started my career with are now managing partners of San Diego’s top law firms. Those connections have made my transition into deposition sales a natural and enjoyable one,” she says. And if anyone knows just how crucial it is to preempt a problem before it arises, it’s probably going to be an attorney like Bay Mitchell. You are 100% right that you have to enjoy helping people in order to fully enjoy your legal profession.